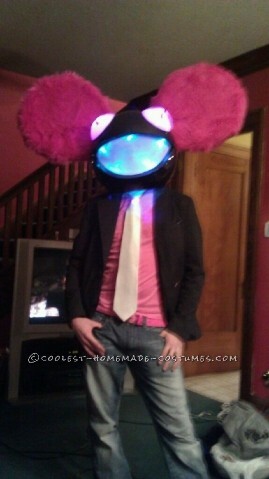 Here’s my awesome Deadmau5 head costume! I actually made the entire head in only 3 days!! And it turned out phenomenally well!! 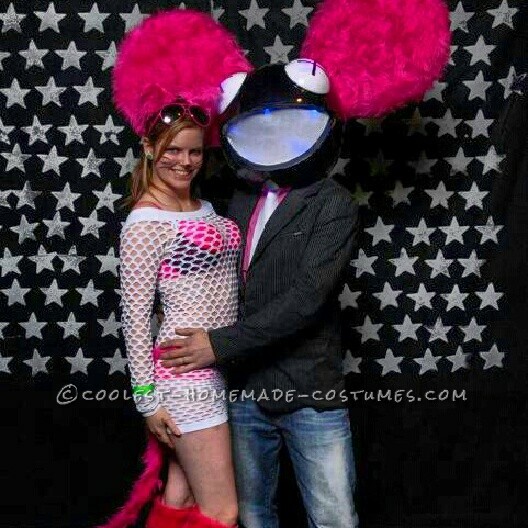 Was a great hit at all the costume parties!! It even took 3rd place at one!! And at another I had soo many great reactions, people wanting pictures and telling me it was the best one there! As well as even having one guy wanting to wear it to get a picture! Hope you all enjoy and thanks! fur for the head and ears…I painted the head, you can do that as well! easier than wrapping with fabric and looks cooler! Start with the basic head part. 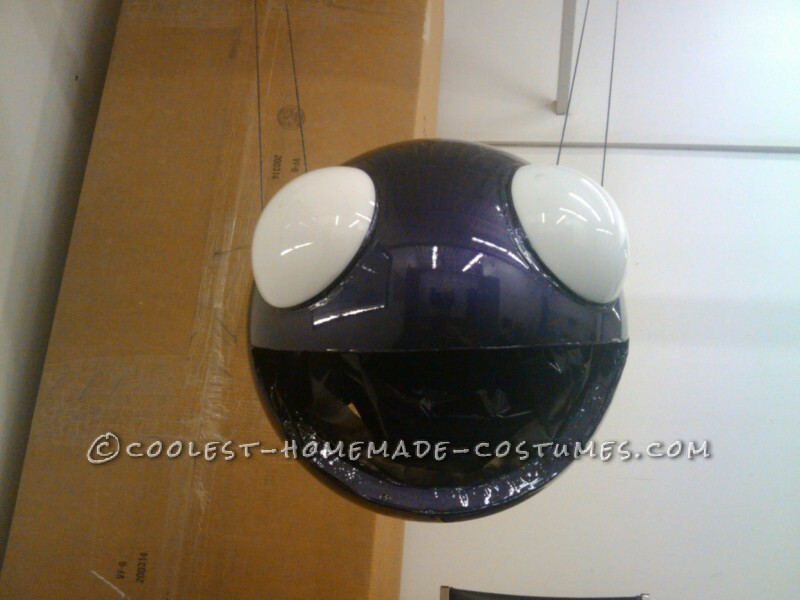 I used a 14″ acrylic globe found online…to warn you buy it way before Halloween or it will be expensive, out of stock and or take forever to get it! Trust me I know, it took a week to find one and got it 3 days before I needed the costume!! Luckily I was able to finish and it turned out great!! Start by cutting the hole in the bottom. there should already be one but its only about 5-6 inches in diameter…cut it big enough to fit your head in and slightly angled down tward the front. Next the mouth. cut a football shaped section almost from side to side about 3-4 inches from the bottom and about 8″ from top to bottom. I used a Dremel to cut everything out. 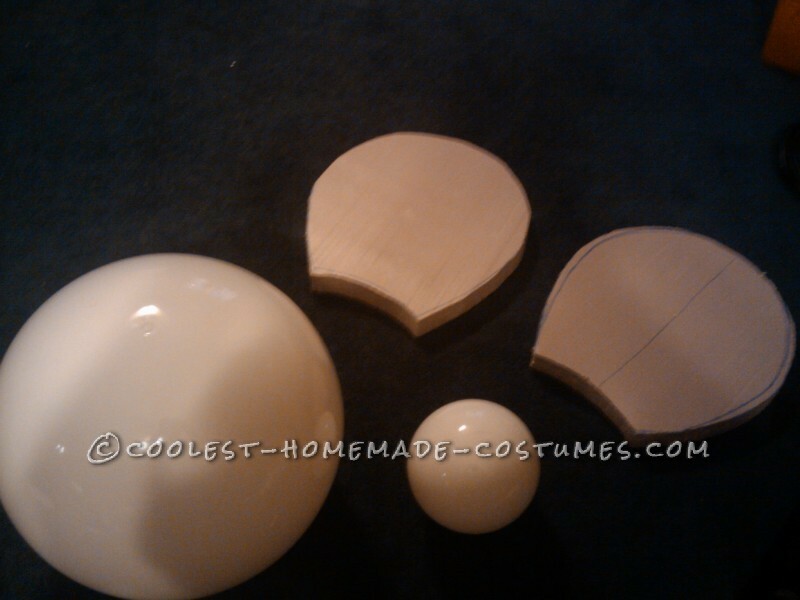 Now I took 1 1/2″ insulation foam cut 1″ strips and curved them to the shape of the mouth and glued them on the inside. 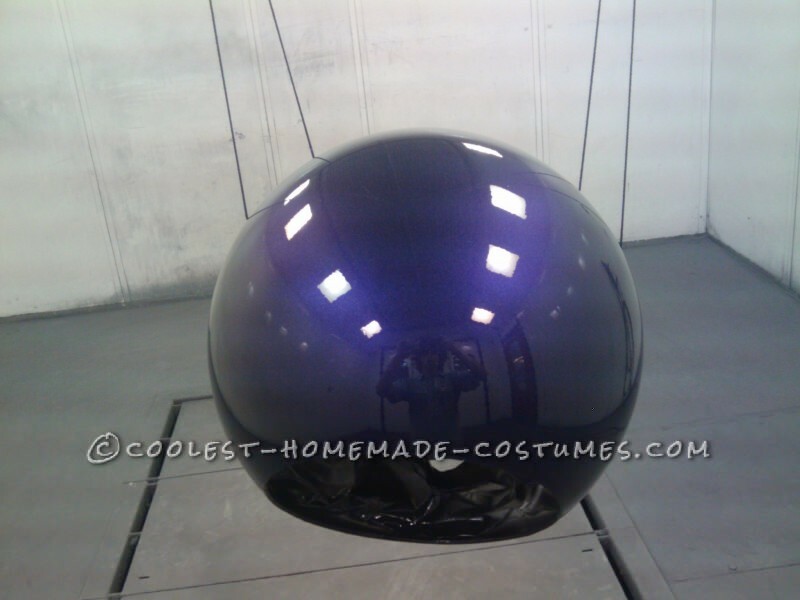 Cut your 6″ acrylic globe almost in half it already has a hole at the bottom so go from the top to the edge of a hole. I used a cup around the globe to draw a perfect circle then cut out each side for the eyes! I used a white globe. Line them up even on the head above the mouth and glue them on! Note if you are gunna add LED’s in the eyes make sure to drill a hole in the head about the middle of where the eyes will be mounted before you glue them on and mount the LED’s first! Eyes on and lit up! 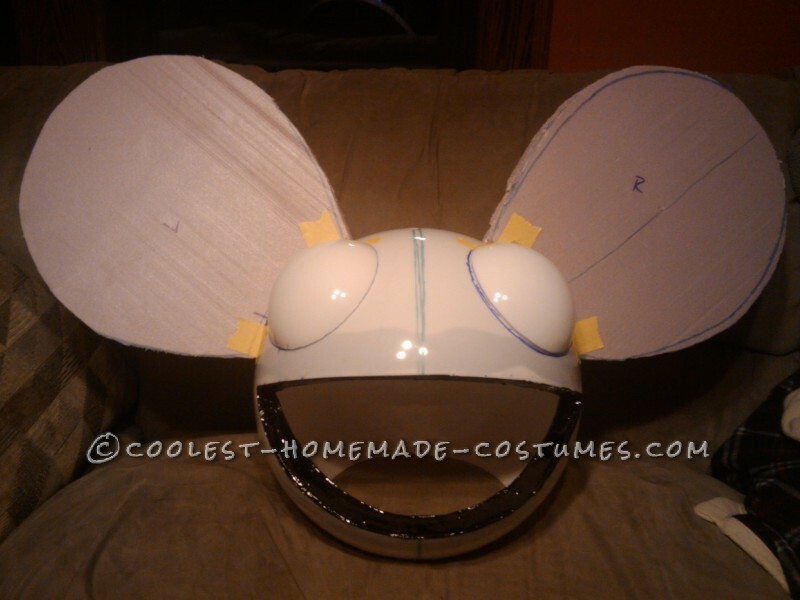 Get creative and cut out your ears to the shape you like and cut the bottom to the shape of the head! 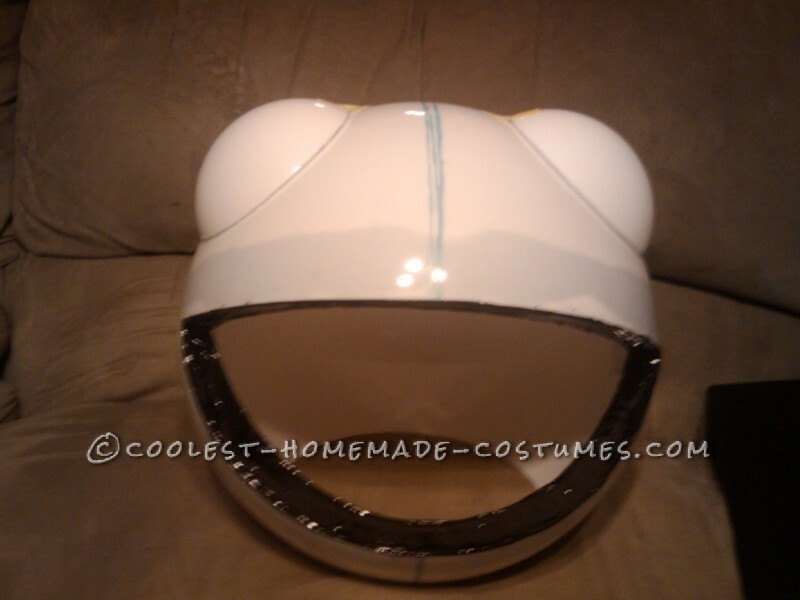 I drilled two holes on each side of the globe where the ears will mount and screwed and glued the ears on. Wrap your ears in your fabric. Be careful when using spray glue to glue the fabric on it will start to eat into and basically melt the foam but it will work!! be quick!! Now like up your ears and screw them on. After you got them where you want them, glued them down and re screw them to the head! Of course this is after you’ve wrapped or painted your head! Make sure to tape off your eyes and untape before you clear!! 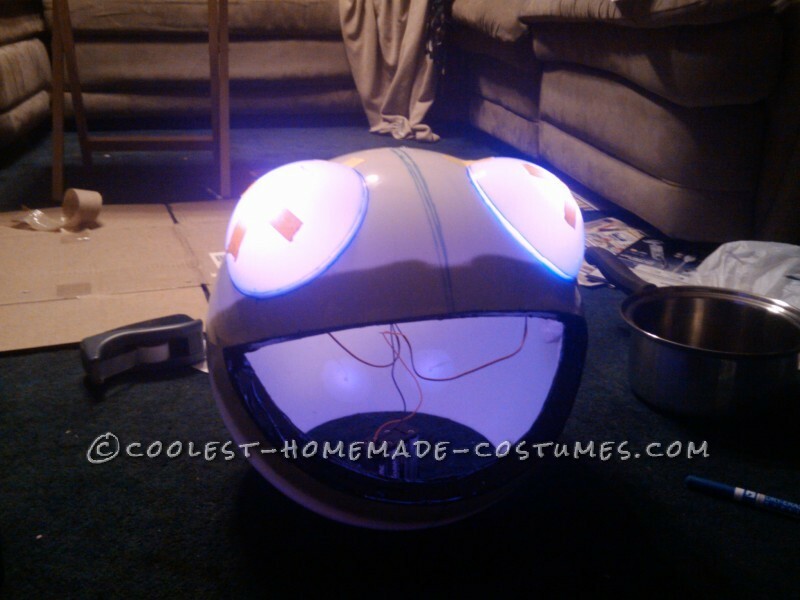 Finishing the mouth and Adding LED’s. For the mouth cut out a piece of thin white see through fabric in the same shape as the mouth only a little larger. Shape some wire in the same shape and sew the fabric around it. Then hot glue it from behind, at this point you are ready to add the LED’s. I used color changing LEDS I found online and bright pink ones for the eyes! Hot glue them in around the mouth and tape the wires to the inside so they are out of your way. Connect them all from the back and run one main wire to your battery power source! Now glue in your helmet make sure it all fits and now your the life of any party!! 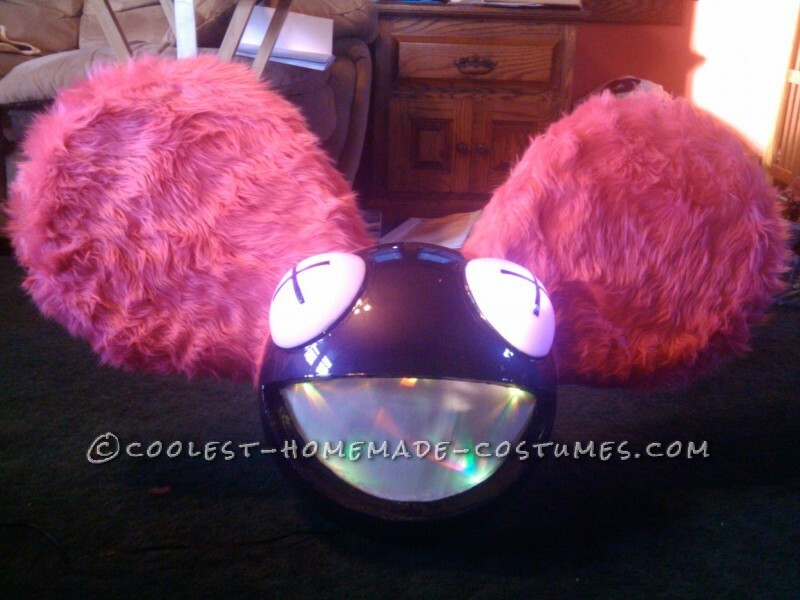 Enjoy your replica Deadmau5 head and have fun!! Thanks for your time and hope you enjoyed! The Most Terrifying Costume for an 8 Year Old Ever – Homework!